This little gem of a book would make a wonderful gift for a friend. It includes a presentation page, thick glossy pages and a beautiful photograph with each reading. 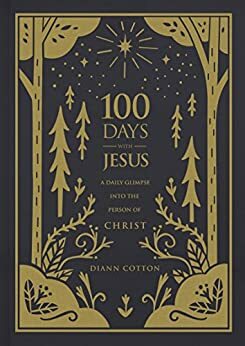 The author, Diann Cotton, first got the idea when she found a page in her Bible listing over 250 names and attributes of Jesus. She began studying one or two a day, hoping to know Jesus better by the end of the year. Her own research, prayer and reflection led to the book. Perfect to be used as a daily devotional, each reading includes a name or description of Jesus, the scriptural basis for the name, a definition, prayer and reflection question. The entries are ordered alphabetically, so you can easily find a particular name. The questions could easily be used as a journaling tool if that is part of your daily routine. My friend Nancy’s email about music made me think about the simple children’s song, “Jesus Loves Me.” Although my mom couldn’t communicate much during the last years of her life, she could still sing, and the old hymns and Christian songs were favorites. Jesus Loves Me always brought tears to her eyes. My husband and I had a good Christian friend who asked that this song be sung at his funeral. I think he felt its’ simple message captured the essence of his faith. He’s not the only person who ever felt this way. Karl Barth, a Swiss Reformed minister, who was know as one of the greatest theologians of the twentieth century was once asked to summarize all the words he had written about theology. His answer? The words of this song were first published in a novel entitled See and Seal by Anna And Susan Warner. In the story a young boy named Johnny is dying. His Sunday School teacher comforts him by making up this little song. The novel became a best seller in the 186o’s, and the song, set to music by William Bradbury, became the best-known children’s hymn of all time. What about you? Have you ever been comforted by music in a difficult time? We’d like to hear your thoughts. 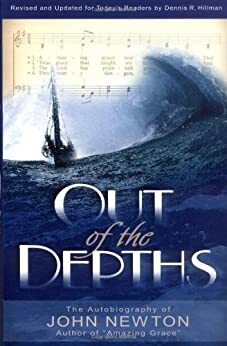 “Out of the Depths” is the autobiography of John Newton, author of the beloved hymn “Amazing Grace.” Don’t pick this book up because you want to hear more about Newton as a hymnist — it’s just not there. Instead, the book focuses on his spiritual journey. Born to a devout mother who dies when he is seven, Newton strays from the faith. As a young man he becomes willful, arrogant and disappointing to his father. His life reads like some of the great stories of the Bible. He is runs away like Jonah, is shipwrecked and beaten like Paul, and like the prodigal son finally comes home to God, his Father. He experiences both wealth and want, becomes a sea captain, a slave trader, a servant (little better than a slave himself) and finally a pastor. This book was a fairly easy read and I enjoyed it (the copy I had was revised and updated for modern readers). Each of us, like Newton, has a faith journey and we should spend some time reflecting on it. How has God led you to the place you’re at today? I’d like to hear about that. My advice? Go to a church where you sing and make a joyful noise to God at least once a week. You’ll be happier and healthier. Voting on the fanning the flame project was delayed for a few more weeks in order to insure that the requirements of our church constitution for a special meeting had been met, and proper notification received by all. However, discussion at the meeting revealed a couple of things. The good news — enough people volunteered to serve on the planning committee, if the program is approved. As we are a small congregation, this was a legitimate concern. The bad news — there is not yet complete agreement. Some are concerned about the cost; others don’t really understand what will be achieved. There is probably even some fear — what will happen, and how will we have to change? Will I be able to do what is asked of me? Do I even want to do it? My prayer for St. Paul’s is for unity in whatever decision we make. Total unity is, of course, not possible this side of heaven, but if we’re sharply divided, if we’re angry with one another, if we’re intent only on getting our way, no plan will succeed. This is a time for listening — to one another and to God. 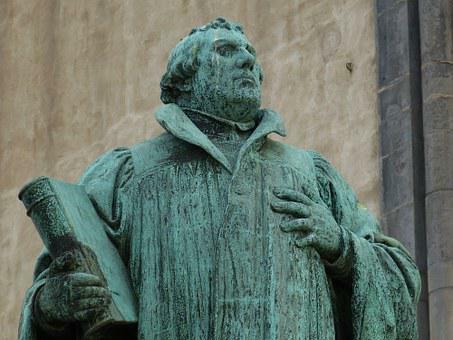 Pray with me friends and readers, as we attempt to discern the will of God in this matter.